BBC’s “The Why Factor?” will air a Furry story. “Why do we project our emotions onto animals?” gives a 4-minute clip. Flayrah has air times for the 18-minute piece. Growing community of ‘furries’ finds acceptance on campus. USA Today does “not THOSE furries” apologism. Meet the Club: The furries. A 10-member club got a short notice in the student newspaper of Washtenaw Community College in Michigan. San Francisco’s How Weird Street Fair is this weekend. The promo vid flashes furries at 0:59, 1:17, and 1:25. For several years, fur meets at this cool event have marked the start of street fair season in the SF Bay. It’s the best occasion for my favorite thing, street fursuiting. On the same day as the fair… Blow-Up: a gallery show of inflatable art. Not a big news item, but I was taken by the pink bunnies. Artist Momoyo Torimitsu gives a down-to-earth statement on her site. Furries: A Documentary wins Kickstarter funding. Explaining the fandom to outsiders involves juggling facts and ideas to a degree that approaches schizophrenia. There is no one furry fandom. “We are vast, we contain multitudes.” (Whitman, “Song of Myself“) And likewise, there is no one story of the furry fandom, and there isn’t one audience for a story about the fandom. Any conversation about the fandom’s strengths should begin with the power of a community for young people who might otherwise be entirely outsiders. Furry Fuel energy drink: because foxes. Cases just became available to the public. I’ll tell you a secret – it’s generic sugar – but so what? It’s furry! I’m happy to display a can on my bric-a-brac shelf. Furry-friendly photographer Arthur Drooker may publish soon. Conventional Wisdom chronicles author-photographer Arthur Drooker’s travels to quirky conventions, including Lincoln presenters, furries, and mermaids. His 85 color photographs and humorous, informative text present them as unique expressions of community, culture, and connection. Creators respond to coverage at Dogpatch Press. 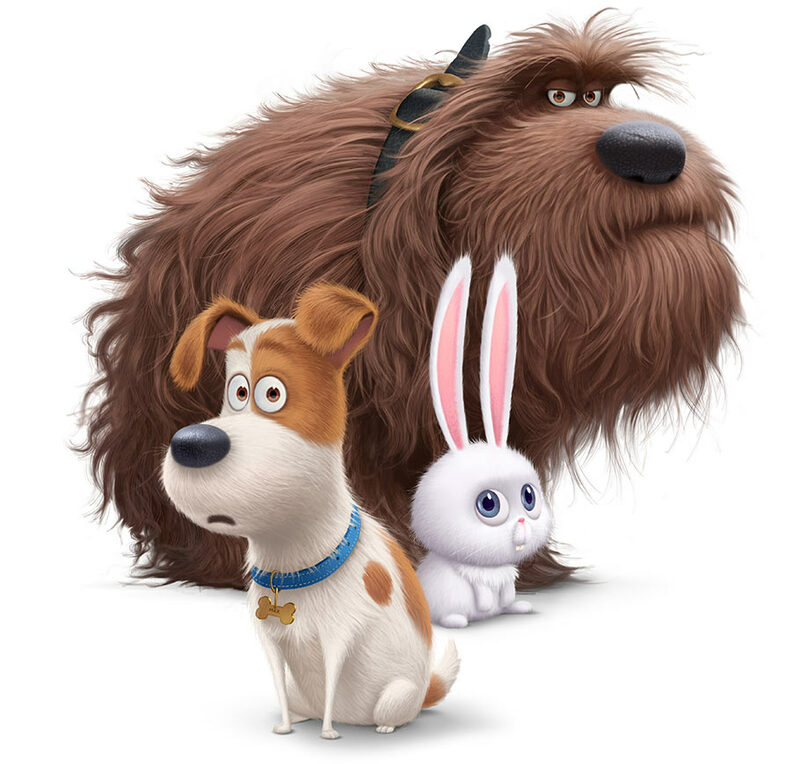 Release Date for ‘The Secret Life of Pets’. Despicable Me and The Lorax team members animate Louis CK. Anime: “The Boy And The Beast”. Russian animation The Snow Queen 2. Will release in January 2016. The inflatable pink bunnies reminded me of this YouTube film clip of a four-foot rabbit. Who knew that real bunnies can grow that large? The trailer for “The Boy and the Beast” is now subtitled. The beast’s name, Kumatetsu, is literally “Iron Bear”. Furries do not need a documentary though. I’m going to be diplomatic because I haven’t seen it… but yeah, in general, how about more making stuff – less talking about how cool it is to make stuff? More starting events and clubs – less talking about how neat it is to have a club. After a certain point, solipsism gets sad. As far as movies go, I’d prefer to see furries get enough critical mass to succeed with DIY animation. But I’ll take live fursuiting as much as any other entertainment. The good thing I can see coming from documentary, is a seed for a furry film fest. I’ve been talking it up and there are a number of puzzle pieces in place that could start one… just not a team with the initiative. :/ For other event organizing, I’m glad cons and indie furry dances are really thriving. What I meant is: the furry brigade is too disorganized, without a central vision or any resemblance of leadership. You cannot make a documentary about a group of people who cannot agree who they are or what they want. Much easier to just make a documentary on Belgians or something. Understandable… on the other hand, a good story doesn’t need to be officially sanctioned. Why worry if people agree on it? There’s always disagreement about anything that’s opinion, more or less, depending on the source. I’d say forget about that and concentrate on finding the good story. Actually, if that’s the challenge holding back a documentary, because a simple hobby doesn’t have a lot of movie-worthy drama… make it up. Gonzo style journalism does that on purpose to creatively use “sarcasm, humor, exaggeration, and profanity”. If you want to tell a trippy story like that, I can’t think of too many better subcultures than one full of cartoon animals. I would be beyond thrilled to see a fictional “fursploitation” documentary, as long as it’s made by informed insiders.